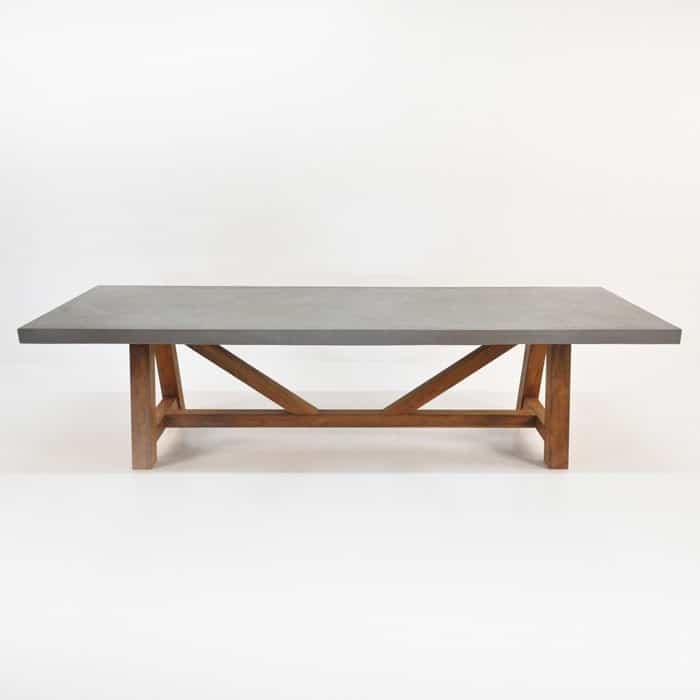 This table defines a new era in style hearkening back to the raw organic materials we all know and love. 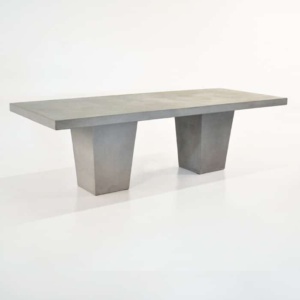 With a substantial tabletop made from raw concrete and a distinctive strong base made from Reclaimed Teak in a trestle table style, this table sets the trend. 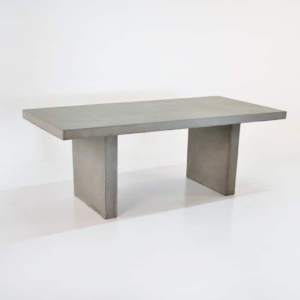 A concrete and glass fibre composite makes up the beautiful and robust table top, where you get deep colour and smooth good looks at about half the weight of traditional concrete. Below this gorgeous top is the beefy structure made from reclaimed teak wood to ensure that the organic feel and natural materials are in perfect harmony. This trestle table is available in multiple sizes to give you options for large parties or smaller ones. 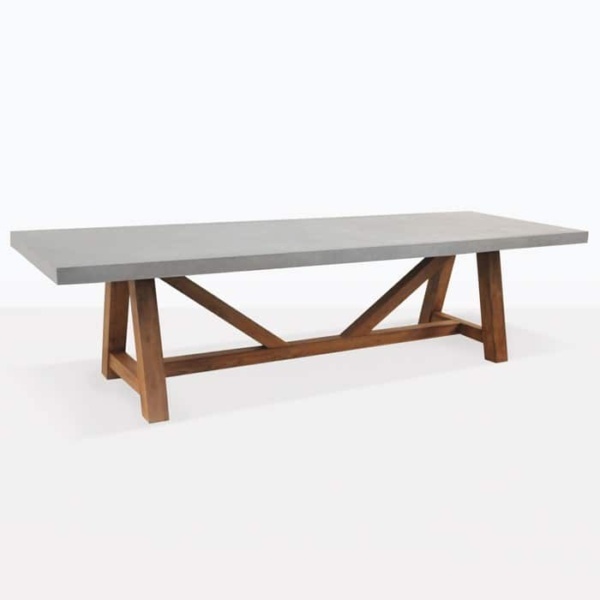 If you’re looking for immediate impact, but you want to retain that natural look, this concrete and reclaimed teak trestle table is the most stunning dining table on the market. Wherever it goes, indoors or out, you’re going to get the impact you desire, with comfortable seating for just about any size party and a bold, fresh take on traditional dining tables. It’s primarily designed for outdoor dining, but this table looks good no matter where you decide to place it. Strength. Harmony. Boldness. This is a table that deserves to be enjoyed.